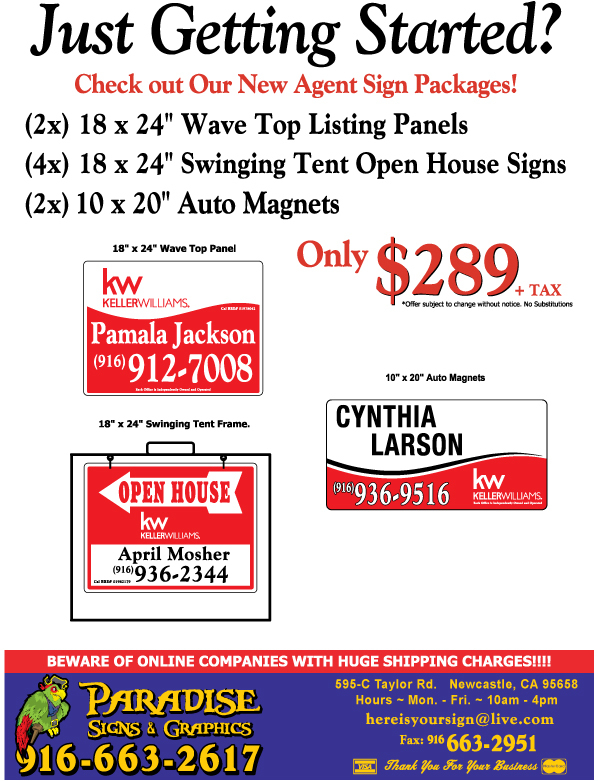 Size 18 x 24″ Wave top and Open House Signs with swing stand. Real Estate Signs, Paradise Signs prints high quality signs for your home listings. Catch the eyes of potential buyers and guide them with clean, impressive signage most importantly, on time. 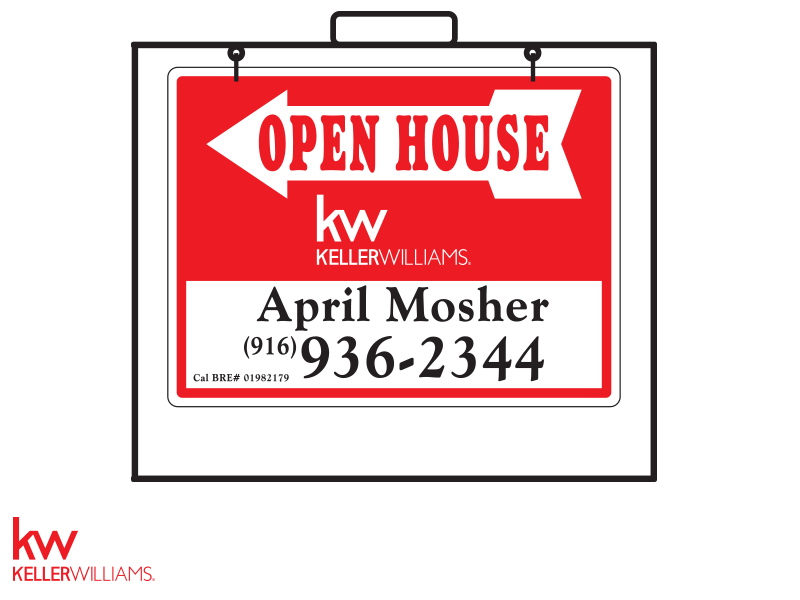 Keller Williams templates include open house with stands, for sale, 10 x 20 auto magnets along with vehicle window decals and commercial sized printing capability. Agents, order your signs for your listing at Paradise Signs! Fill out our sign order form. Please have a high resolution portrait for your photo templates.